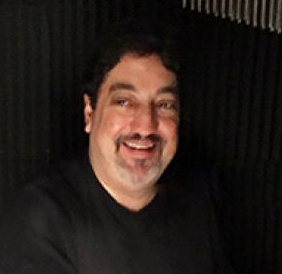 Jeff Mucciolo (1965 – 2018) was beloved by everyone who met him, especially his family, friends, bandmates and colleagues. Jeff gave his all to everyone he knew and asked for nothing in return. The world is a better place due to Jeff’s kindness, enthusiasm, wit and his generosity of spirit. The legacy he leaves behind includes the indelible mark he made on his family, friends, and everyone who had the privilege of knowing him. Jeff was a gifted copywriter and interactive advertising expert who worked in the NYC medical advertising industry for the past 30 years. The passion he had for life came alive in his music. He was an extraordinary drummer and percussionist who made everyone he collaborated with sound better. Through his membership in the Off Wall Street Jam and The Jam NYC he was able to share his musical talent with countless bandmates and audiences. Jeff combined his work with his drumming passion as the “ringer” for numerous agencies in the industry’s annual Pharmapalooza event. Jeff graduated from Syracuse University where he studied Radio, Television and Film. He attended Darien High School in Darien, CT.
One geared toward Newbies, and another for intermediates and above. All-inclusive packages that take you from the couch to the stage in a month, with a professional Facilitator who’ll be with you every step of the way. We know hundreds of amateur/semi-pro/and professional players and singers, and we love making introductions and helping filter people so that you don’t waste time. We also send out an eBulletin (Blog) every week or two in which you can place (and respond to) personal ads. For bands, songwriting duos, private jams, auditions, whatever. Monthly (at least) opportunities for VIP Jam Members to strut their stuff in front of friends, family, coworkers, strangers, and tourists. We set it up, cart all the gear, tip people, make sure the show runs on time - you just concentrate on having fun. The pinnacle of our year is a celebration of our little scene, a battle of the bands in which combatants cheer each other on, and a bit of a spectacle (smoke, a lighting designer, video projection, costumes, judges, prizes. This year’s Jammys (our 25th!) 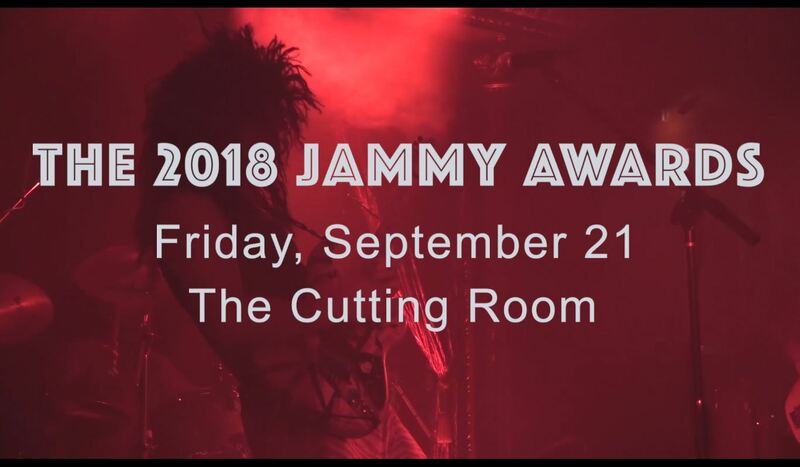 happen on 9/21/18 at The Cutting Room - tickets on sale now. That’s the simplest definition of The Jam. Musicians, their fans and family, and bands, supportive of each other. Camaraderie. Help when you want to start a band or need someone to fill in. A hook-up when you need a guitar set-up on a rush basis, to find rental gear, take lessons, counsel when your band is experiencing dysfunction, contact info for a reasonably-priced pro sax player, event planning (we’re well-connected with a few venues and fine, inexpensive bands (free if it’s for a worthy cause), super-fun corporate team-building exercises (where everyone splits off into different studios to learn a couple of songs, and perform them / hours later), and more. We LOVE to make things happen.